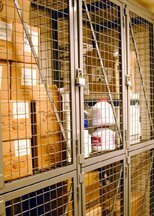 Cal Stor-N-Lock wire mesh storage lockers and tenant lockers are the ideal solution to organizing and securing your valuable possessions. 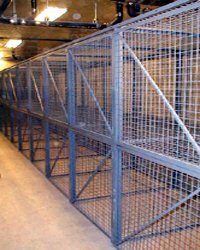 Wire mesh ensures proper lighting and ventilation, along with accessibility to existing fire protection. Multiple configurations and colors are available. • Any 0f Your Ideas!  #10 W&M gauge steel wire welded into 2″ square mesh, then welded to 1-1/4” x 1-1/4” x 1/8” angle iron frame. Framed in 1-1/4” x 1-1/4” x 1/8” angle and pre-hung on tube steel frames. All single tier doors have a horizontal stiffener bar. All doors are supplied with padlock hasps and three hinges. Standard 1/4” grade 2 plated nuts, bolts, and tek screws are supplied for assembly. 1/4” anchors are supplied for concrete wall and floor attachment. HVLP applied shop coat of Machinery Gray enamel. Optional colors are available. Standard sizes from to 3’ to 5’ wide and up to 7’-6” high. Depths are 3’, 4’, or 5’. OPTIONS:Ceiling – Lengths include 3’, 6’, 7’, 8’, 9’ and 10’. Widths include 3’, 4’, and 5’. Back – Sizes include 3’, 4’, and 5’ widths, 7’-6” height. Tops, additional shelves and bottoms are also available. They are constructed of the same material as standard wall panels. 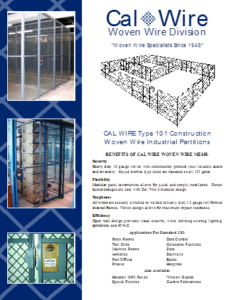 Cal Stor-N-Lock offers multiple configuration options. The Starter Lockers consist of 2 wall panels and 1 door panel. 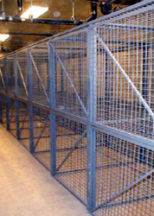 The Add-On Lockers include 1 door and 1 wall panel, to use in combination with a Starter Locker or in a building corner. Available in single and double tier designs with available options including ceilings, backs, and shelves.